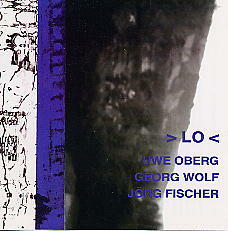 UWE OBERG - piano, GEORG WOLF - bass, JORG FISCHER - drums. The trio was founded in 1994 with the intention of playing pulsating earthy music as well as music that would soar up into spheres of choice fragility. The title of this CD suggests zen's image ("Lo! The mountain flows across the water"), and the music really does flow with integrity and conviction creating atmospheric wholeness. Eight pieces on the CD with a duration of over 60 minutes.